I’ll add to this list when I discover something worth sharing. Aldi isn’t what you call an organic store; however, if you haven’t been there yet you will be surprised at how many organic products are available at Aldi at really low prices! No this isn’t a sponsored post; I’m just very glad Aldi is close in Baltimore. Fresh organic milk, also available whole milk! Some fresh organic vegetables and fruits: cherry tomatoes, bananas, strawberries, grapes, etc. depending on season. Organic Greek yogurt. Unfortunately fat free. People, fat free yogurt taste like **** please don’t eat it! Other items worth mentioning: Sign up for their newsletter. Every Wednesday new specials come in. Lots of European imports are always on the shelf at low prices, for example chocolate. What, you don’t like European chocolate? Then you ought to be called a banause (^_^). Also specials often include various imports worth checking out, such as items for the household and garden. In case you don’t know, Costco is where the serious shoppers go to 🙂 I used to go to SamsClub as well; however, traffic is really bad that way and there isn’t much organic at SamsClub, so Costco won. Organic canned tomatoes and paste, but costs more than Aldi and Aldi’s are better. The best deal: Fresh organic chicken breasts, thighs, whole chicken. 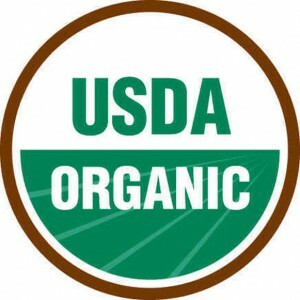 Organic beef, not just ground beef. Frozen would be fine; however, the frozen beef from Costco online wasn’t worth its money. Non organic Costco items worth mentioning: Kerry Gold Irish butter, Dodonis Greek feta cheese, various other European imported cheeses. Organic corn in cans. Origin is not stated on can. Organic pasta, made in Italy, thank God not fortified!